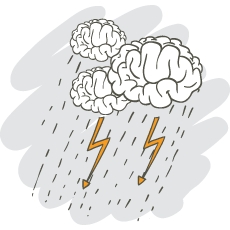 Brainstorm ideas and easily turn them into action with our mind map tool. You've got plenty of tasks, so learning a new task management system shouldn't be on the list. Mindomo is a fairly intuitive tool that puts all essential functionality at your fingertips. Reorganize your work whenever you need to simply by dragging and dropping tasks from one list to another. Also, if a task gets too complex, turn it into a task list. Tasks and subtasks are organized in a hierarchical structure. This makes it clear for everyone involved how each task impacts the overall progress of the project. The drill-down feature allows you to focus on a certain task list and temporarily hide the rest of the information. Quickly compress or expand the view of your project by using the '+' and '-' icons on task lines. Are you looking for a tool that is easy to adopt and use? You can organize tasks in branches and sub-branches, and just follow the lines to understand how they connect to one another. Key information is marked with colors, images and symbols. In the end, you turn a long list of information into a colorful, memorable picture of your to-dos. Our mind map interface is well-suited for the brainstorming phase where you need to evaluate various ideas before setting up your tasks. You can record all your ideas as they come by, reorganize them into tasks and even break them into smaller tasks. 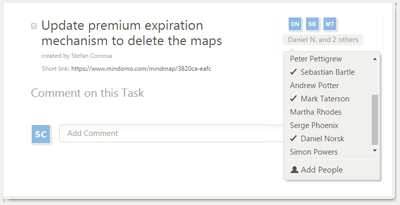 Not being designed for a particular style of project management, Mindomo lets you organize content any way you want to. You can break up task lists into subtasks on and on, and still see how each task relates to the entire project. The detailed activity on a task is available in the comments dialog. If there are a lot of comments, only the most recent one will be shown, leaving older comments collapsed. All documents, images and links attached to a task can be found under the attachments icon. The list of thumbnails gives you a quick overview of all image resources. 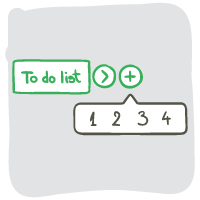 Completed tasks are grouped under a checklist icon. 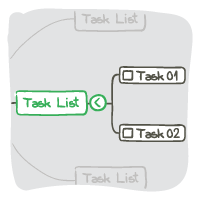 This icon will show you the overall number of tasks, and by clicking it you can access each task separately. 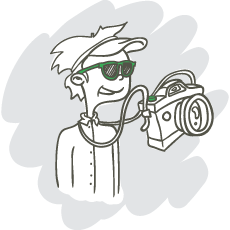 Get up to date with the latest changes in your project: who did what and the exact date. Quickly see tasks assigned to you or to someone else. Filter by due date to see overdue and upcoming tasks. Whenever a task is completed, the owner of the task will be notified via e-mail. Assignees will receive e-mail notifications when new comments, files, or other changes appear on their tasks. Attach files from your computer, Google Drive or Dropbox account. You can do this either by browsing the files, or by dragging and dropping them on a task. A task can be assigned to one or more people. Each of the assignees will get notified by e-mail on any task changes. One click focus on a specific task list will hide the rest of the project, leaving you focused on the tasks from that list. The central topic of your map is always the name of the project. The topics directly connected to the central topic will be your main task lists. Any further topics will become tasks or subtasks in your project.